Bronze, carved wood, gold leaf, flock, wild spirit. 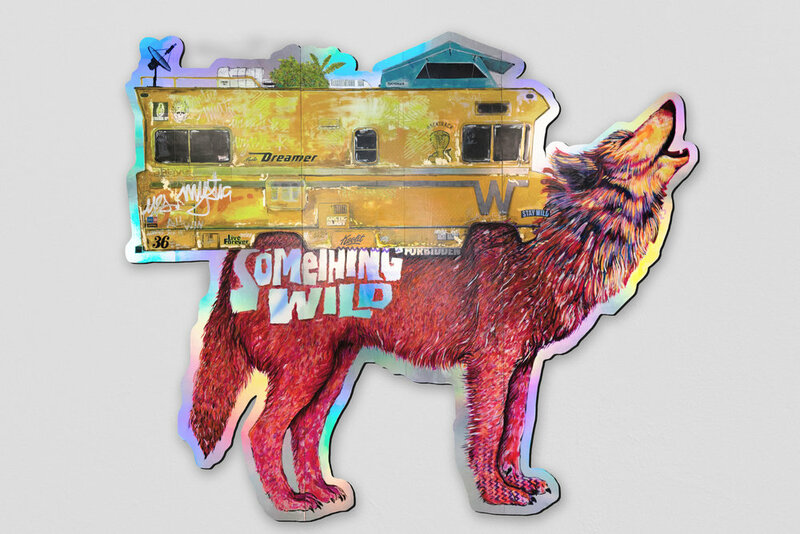 Acrylic, holographic film, ink, acrylic paint, epoxy, savage love. Acrylic, crochet, gold leaf, maximum optimism. Stamped aluminum, wood frame, acrylic paint, sorcery. Acrylic, holographic film, ink, acrylic paint, epoxy, orbital explosions. Glass, ink, acrylic paint, acrylic sidewalls, liquid crystals. Brass, multicolor yarn, gold leaf, woven dreams. Canvas, acrylic paint, winning spirit. Canvas, gold foil, acrylic paint, woven patches, freedom. Carved wood, black wax, cosmic matter. What we are seeking is not the real or the unreal but rather the unconscious, the mystery of the instinctive within the human race. Acrylic, holographic foil, acrylic paint, magic gleam. Cultural detritus, multicolor flocking, sound waves. Acrylic, holographic film, ink, acrylic paint, epoxy, deep space. Acrylic, holographic film, ink, acrylic paint, epoxy, high speed thrills. Wood, gold leaf, ink, acrylic paint, epoxy, sweet dreams. Acrylic, crochet, gold leaf, gilded relaxation. Carved wood, acrylic paint, deep cuts. Ply, holographic foil, acrylic paint, dream waves. Ply, holographic foil, acrylic paint, arctic beauty. Collaboration is what drives us forward. Ply, holographic foil, acrylic paint, fearless exploration. Glass, ink, acrylic paint, acrylic sidewalls, forbidden memories. 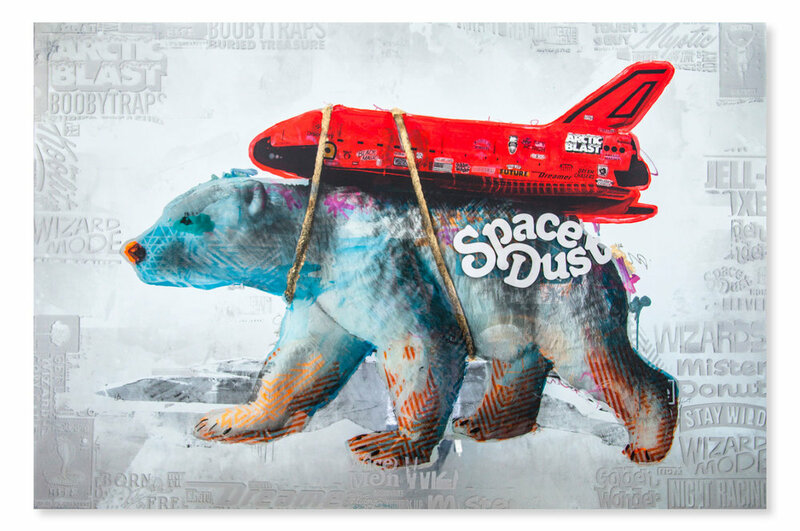 Cultural detritus, ply, acrylic paint, rocket fuel. Acrylic, holographic film, ink, acrylic paint, epoxy, nomadic tendencies. Canvas, watercolor paint, encaustic, golden wonder. Mirrored glass, acrylic paint, chromed steel, space dust. Glass, acrylic paint, wood frame, supercharged striking power. Wood, gold leaf, ink, acrylic paint, epoxy, gentle venom.